The Harbinger is created entirely by the students of Harborfields High School. Each issue features thought-provoking and research-based articles on topics of interest to our reporters who are eager to share their stories with their peers, the HF community and beyond. 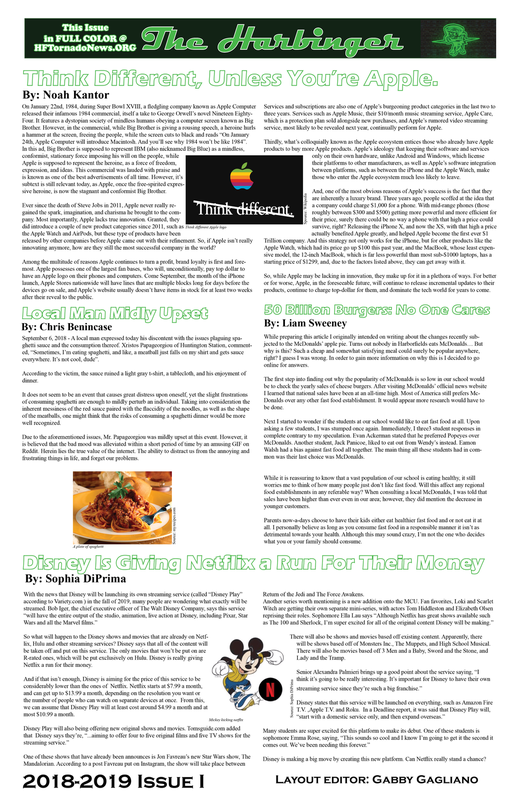 Click the links below to access the full-color PDFs of our print-edition school newspaper. Are We "Addicted to Our Screens? Are You "Tired by Nature?"